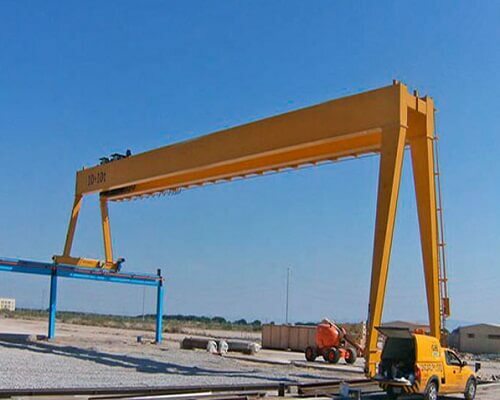 In order to prolong the service life of the crane, improve the utilization of the equipment and ensure the safety of production, the daily maintenance and plan maintenance of the lifting equipment must be done well. 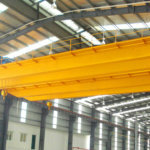 The maintenance work of the crane during the inspection interval is the foundation to ensure the normal and continuous operation of the crane.A correct maintenance work during the interval of maintenance can be done to extend the interval of maintenance, reduce the workload of maintenance and improve the productivity of the equipment. Duty inspection includes maintenance, external inspection, cleaning, lubrication, and fastening. First class maintenance is regular maintenance. It is responsible for crane operators. It mainly includes inspection, lubrication, fastening and adjustment of wire rope, drum, pulley, bearing, coupling, reducer, and brake. 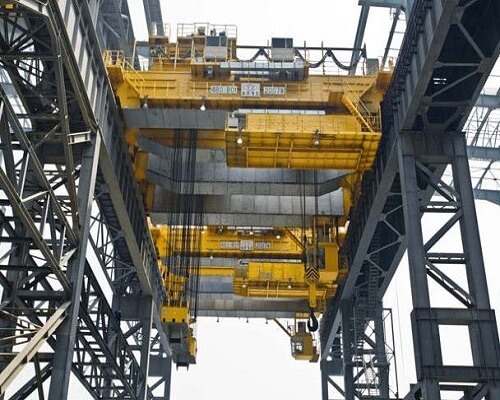 Two-level maintenance is the regular maintenance work, it is responsible for the maintenance workers, including the maintenance and maintenance of the entire crane’s various mechanisms and equipment. 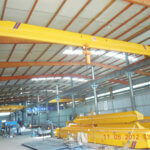 In order to ensure the safe operation of the crane, the first task is to do a good job of checking the crane. Check whether the total power supply knife switch of the protection box has been cut off, strictly prohibit charge inspection. on, and whether the bolt on the end of the wire rope is fastened. The hook is a crack, hook nut anti-loose device is complete, the spreader is complete and reliable. How does the brake shoe of each institution depend on the tight brake wheel, the wear condition of the brake shoe lining and the brake wheel, whether the open position board is complete, whether the magnet stroke meets the requirements, and whether the bar rotation is stuck? The fastening bolts of the rotating parts of each mechanism and the fixed bolts of each part are fastened. Whether the wiring of the electrical equipment is normal and the contact between the conductive slider and the sliding line is good. 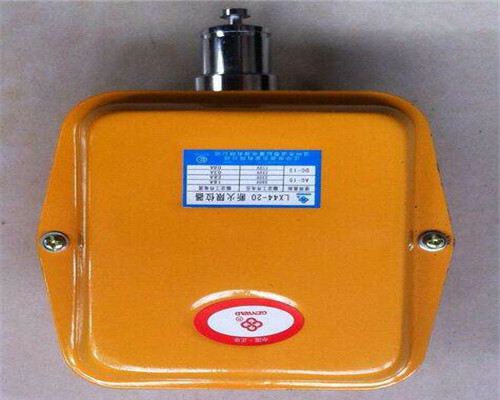 Whether the operation of the crane checkpoint switch is flexible and normal, the action of the safety switch is flexible and the work is normal. 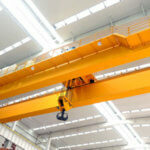 Whether the rotation of the mechanism of the crane is normal, there is no abnormal sound. And cleaning the equipment 15 minutes before work to maintain a good sanitary environment. Contact and corrosion of contact with contractor and controller. The wear of brake friction disc. The connection of the linkage on the linkage and the tightening of the screw. Wear the wear of steel wire for more than half a year. The lifting mechanism of the double brakes, the size of the brake torque per brake. Whether the electrical limit switches are sensitive and reliable. Several operators who operate the crane carry out a comprehensive inspection of the crane at the end of the week.Several operators who operate the crane carry out a comprehensive inspection of the crane at the end of the week. The fastening of the motor, the reducer, the bearing support, the angular bearing box and so on, and the wear of the motor brush. The wear and lubrication of steel wire rope for more than 3 months is used. The wear of wire insulating layer at the pipe mouth. The lubrication of the rotating shaft of each limit switch. The oil quantity of the lubricating oil in the reducer. The wear of the wire rope at the balance wheel. The lubrication of the rotation of the open gear. Control screen, protection box, controller, resistor and fastening of each connection seat and wiring screw. The tightening of end beam screws. The lubrication of the brake electromagnet cylinder, the oil quantity and the oil quality of the hydraulic brake electromagnet. The insulation of all electrical equipment. The deformation of the metal structure and the condition of open welding. 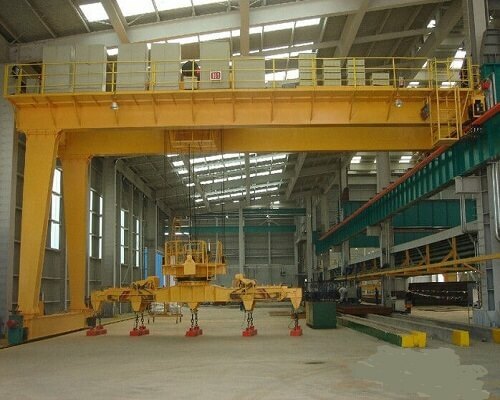 With the crane two maintenance together, in addition to all the content of half check, should also check the metal member has no crack, weld has no corrosion; the size of the wheel wear condition; measuring cart span and the crane rail span difference measurement; girder static deflection and the static and dynamic load test; full of lubrication crane. The planned overhaul of the bridge crane is to maintain and repair the crane within the planned date.Its purpose is to prevent the crane from excessive wear or accidental damage, eliminate the hidden trouble of equipment, the crane often is in good technical condition, ensure the safe operation of the crane, to achieve the shortest idle time and minimum maintenance cost to complete the crane maintenance work, so as to achieve the purpose of reducing costs, increase savings.Planned maintenance routine can be divided into minor repairs, repair, overhaul. 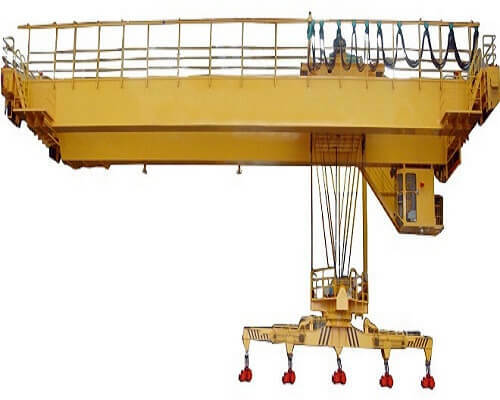 The mechanical rotation part, the electrical equipment part and the metal structure part of the whole crane are inspected in an all-around way. All lubricating points are cleaned and lubricated according to their respective lubrication period. The dismantling, replacement or repair of individual parts. The repair or replacement of some electrical components. For mechanical and electrical parts with breakage trends, technical preparation should be prepared as foreseeable repairs to be processed in the next period of repair. Remove, clean, repair, replace and lubricate mechanical and electrical parts with the frequent and heavy workload. Replace the mechanical and electrical components that are ready for technical preparation according to the plan. Carry out an overall inspection of the crane electric line, replace some aging wiring and damaged electrical components. The mechanism of the decomposition, including coupling, reducer, drum wheel and extract device and other components, the replacement of damaged and scrapped has reached the standard parts, cleaning and reassembly and lubrication, replacement of wire rope, the brake, and open device. The motor of each mechanism should be dispersed, dried, assembled and lubricated by refueling, and the damaged motor should be replaced.The replacement brake open device; replacement of damaged cam controller mechanism; protection cabinet maintenance or replacement protection cabinet; replace all wiring lines, rewiring installation; replacement of lighting signal system control panel etc.. The part of the metal structure is used to repair and reinforce the main beam that has been flex or side bending. All the cranes are cleaned and painted for 2 times. 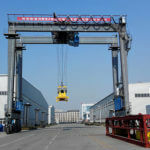 After the overhaul, the crane should be debugged and then tested by the static and dynamic load test procedure, and then it can be put into production. 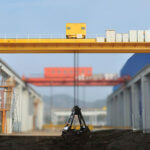 The lubrication of crane is an important part of routine maintenance. The quality of lubrication not only directly affects the operation and service life of various institutions but also affects the safety production and production efficiency.Therefore, the operators and maintenance personnel must regularly check the lubrication of the lubricating points of the crane and replenish and replace the lubricants on time. The principle of lubrication should be followed: every place with shaft and hole, and the mechanical part with friction surface should be lubricated regularly.Because of the different use conditions of the crane (utilization rate and the use environment), the lubrication of different parts should be properly grasped according to the specific conditions. The lubricating methods of each mechanism of the crane are divided into dispersing lubrication and centralized lubrication. 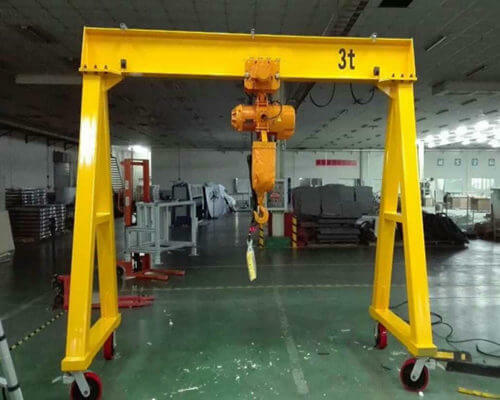 The medium and small-sized crane generally adopts the disperse lubrication.Oil or oil cup oil injecting separately for each lubricant at.The advantages of decentralized lubrication are: simple structure, reliable lubrication, convenient maintenance, easy to use Lubricating Tools purchase Ge, specifications, low cost. The disadvantages are: the lubrication point is dispersed when oil is added, it takes a certain amount of time and is more exposed. It is easily covered by dust or blocked by foreign objects. Heavy lifting crane and metallurgical special crane mostly use centralized lubrication.Two kinds of concentrated lubrication, parting, moving pump refueling and electric pump concentrated refueling.Centralized lubrication can be regularly and quantitatively lubricated, and multiple lubrication points are centralized from one place, which can reduce maintenance workload, improve safety and maintain environmental hygiene.The disadvantage is the complex structure, high cost. Lubricants into lubricants, greases, and solid lubricants three categories. Lubricant stone is the most widely used liquid lubricant, commonly used on the crane lubricating oil, gear oil and so on. Grease is a colloidal lubricating material, commonly known as butter, dry oil, which is a mixture of lubricating oil and thickening agent at high temperatures, in fact, is a thickening of the lubricating oil, and some grease plus additives. Commonly used solid lubricant molybdenum disulfide, graphite, tungsten disulfide and so on. Lubricants must be kept clean during use. Check carefully before use and found that impurities or dirt cannot be used, pay attention to the use of lubricant changes, if found to have deteriorated, should be promptly replaced. Often carefully check the lubrication system and the various parts of the sealing state and the situation of fat. Higher temperature lubrication points to increase the number of lubrication and installation of insulation or cooling device. Select the appropriate lubricant according to the situation, different grades of grease cannot be mixed. There is no turning point for oil filling points in each agency. Oil should be added to the turning gaps as necessary to reduce wear and prevent corrosion. Sodium-based grease should not be used in wet places, because of its strong water absorption and easy to fail. Using pressure grease method should ensure that the lubricant into the friction surface. As the oil is not smooth when the coagulation can be dredged to dredge. Where the replacement of grease, be sure to do a complete trade-in, clean, closed well.